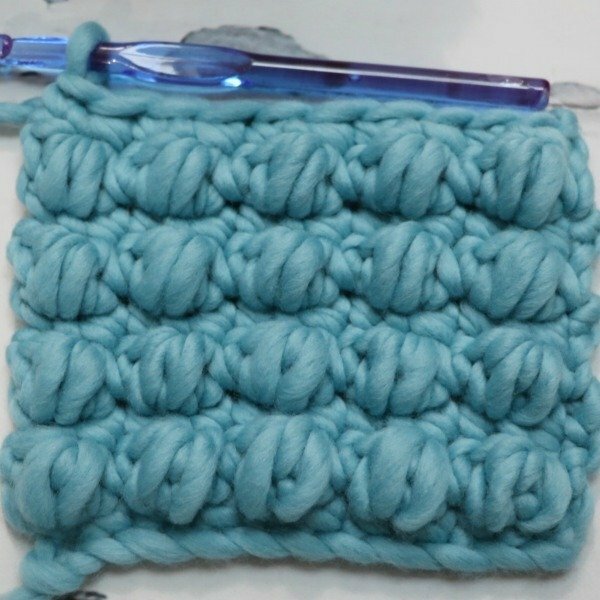 In today’s lesson you’ll learn how to crochet the Bulky Puff Stitch! If you haven’t yet learned the basics go check out our first lesson on YouTube. 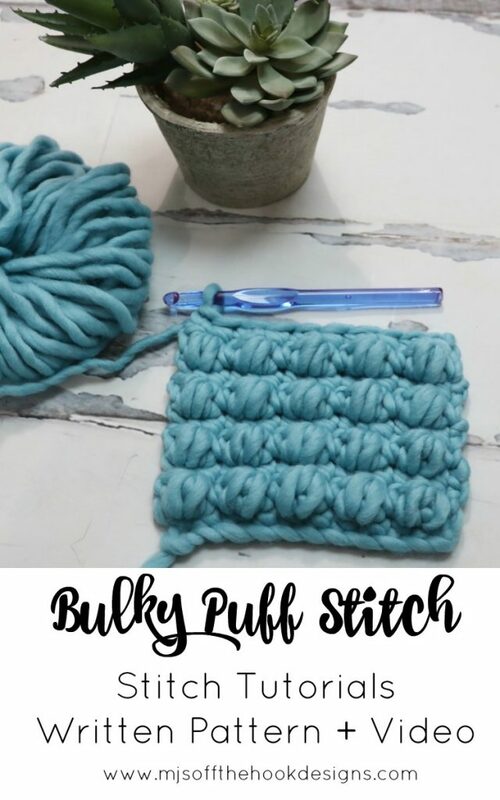 For my learn to crochet series I will be using Super Bulky weight #6 yarn and a 9mm crochet hook. You can use any hook and yarn weight but I feel learning with a larger hook and weight yarn is easier. In today’s lesson we use the color Lazuli. Puff Stitch: Yarn Over (YO) go through stitch indicated and pull up a loop [ 3 times], YO pull through all 7 loops on hook, ch 1. Note Puff stitch is worked on the WS of work. Row 1 (RS): Ch 11, work 1 sc in the 2nd ch from the hook and in each ch across, turn—10 sts. Row 2 (WS): Ch 2 (not included as a stitch), work 1 puff in first st, work 1 sc in next st, *work 1 puff in next st, work 1 sc in next st; rep from * across, turn—10 sts. Row 3: Ch 1, work 1 sc in each st across, turn—10 sts. Rows 4-9: Rep Row 2 & 3 [3 times].